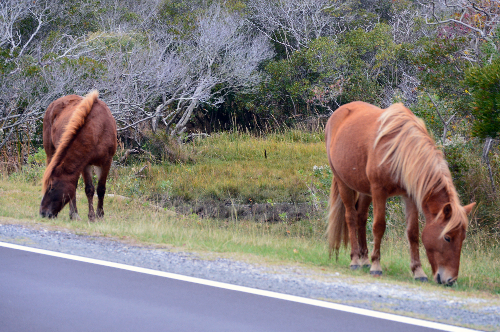 Jill and I spent the weekend at Assateague, Maryland’s coastal island and home to its famous wild horses. 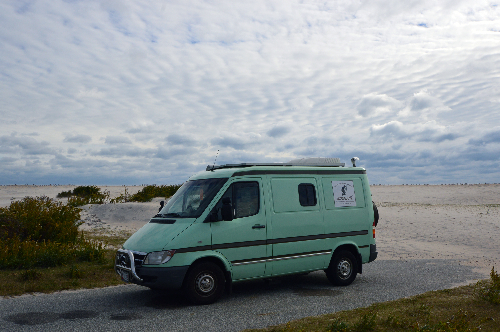 It was cold and windy but lovely–we had a heater in the van (a new addition). And we took the dogs, of course. They always make travel more interesting. I love the beach during the off-season for the obvious reason: we have it all to ourselves. 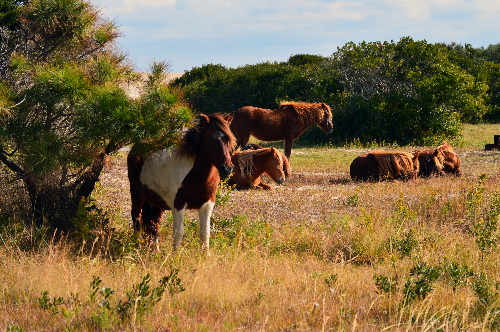 Legend has it that Assateague’s horses were survivors from a shipwreck two hundred years ago. A more plausible explanation is that these stocky, wooly horses are feral descendants of horses belonging to local inhabitants who brought their horses here to avoid taxes and fencing restrictions. The horses, I guess, got out of hand — and got out. If you camp in a tent, you’ll hear the horses hoofing through your campsite late at night, looking for an ice chest or storage container to break into. They can be very aggressive and persistent, as more than a few eager camera-toting tourists have found out. 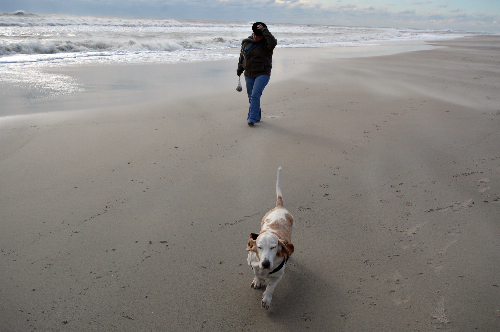 Our dogs, Cleo and Sadie, love the beach. 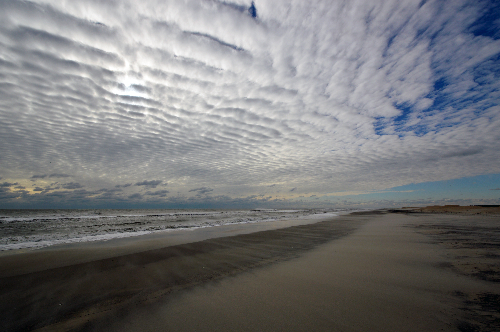 I imagine that for them the big-sky expanse of sand and the rumble and wash of waves are amazing sights and sounds. If we are amazed, why wouldn’t they be? Jill and I played cards in the van, watched movies, read. The wind buffeted the van so roundly, it felt like we were in a treehouse during a storm. 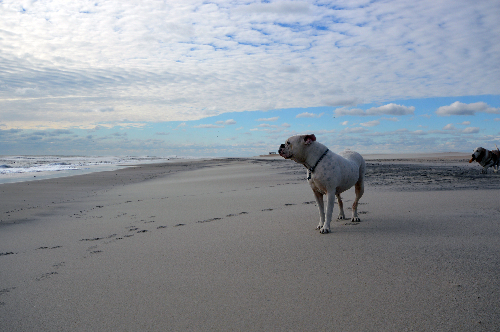 It’s actually a cozy feeling, the dogs sleeping under the bed, lots of goodies in the cupboard, and–just outside our windows–the dunes, the Atlantic, and the wide-open sky.